So for those of you that haven't been reading my blog everyday, I want to recap what has happened over the past few weeks. Read my first post if you would like to start from the beginning. 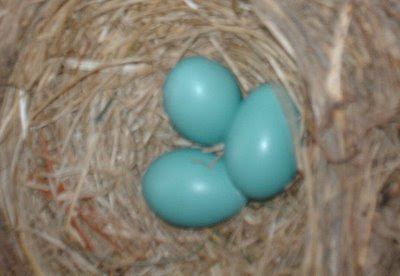 Here is what the nest looked like back in March. 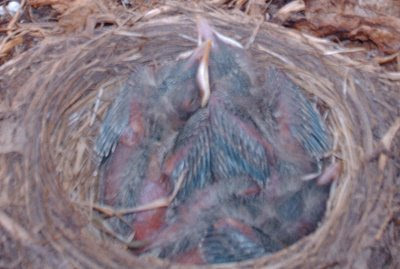 This is what the nest looked like this evening. They are growing so fast. I got home late this evening and it was starting to get dark, so the pictures are not the best. Check back again tomorrow night for more pictures. Very cool. Gotta go watch my bf sing.